This blog is no longer updated. Please visit my new blog for new entries. 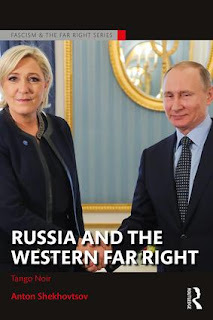 Paul Jackson, Senior Lecturer in History at the University of Northampton, reviews my book Russia and the Western Far Right: Tango Noir for the anti-fascist magazine Searchlight. The review was published in Searchlight (Summer 2017), pp. 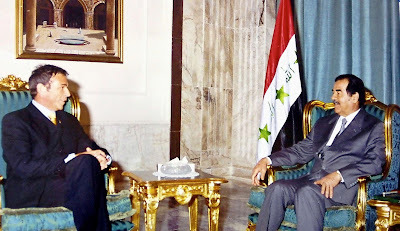 28-29. I was never happy with the term “alt-right”. While I would occasionally use it, I always try to explain that the term is meaningless and dangerous, and should better be avoided in the media and academic writing. The term “alternative right” – and “alt-right” is its shortened version – was coined in 2008 by an American conservative writer Paul Gottfried. In his article “The Decline and Rise of the Alternative Right”, Gottfried wrote about the crisis of paleoconservatism, an ideology that is characterised by its focus on traditional and religious values, limited government and opposition to multiculturalism and immigration. In Gottfried’s view, paleoconservatism was, in the past, a good antidote to neo-conservatism that Gottfried rejected but that eventually came to dominate the Republican party. This implies that paleoconservatism was, for Gottfried, the Alternative Right, a Rightist alternative to the neo-conservative GOP. However, paleoconservatism withered away – and going back to the title of the article, that was “the decline of the alternative right” – but Gottfried welcomed the developments in the conservative movement outside the Republican party and, especially, young conservative non-Republicans to whom he referred as “post-paleos”. For him, “the rise of the alternative right” was exactly the emergence of “post-paleos” who were aiming at putting together “an independent intellectual Right, one that exists without movement establishment funding”. После падения режима Саддама Хуссейна в Ираке в здании одного из министерств были найдены документы, свидетельствовавшие об обширных контактах иракских властей с представителями западных деловых и политических кругов. Начиная с 1990-х гг. у режима Хуссейна были две основные проблемы на внешнеполитическом фронте: санкции со стороны западных стран и связанные с ними ограничения по продаже нефти, которые оказывали крайне негативное влияние на экономику Ирака, но удерживали страну от агрессивных действий в отношении соседей. Поэтому содержание международных контактов иракских властей было в основном связано с лоббированием снятия западных санкций и обхождением ограничений на продажу нефти – последнее осуществлялось с помощью нефтяных ваучеров, которыми режим Хуссейна расплачивался со своими иностранными союзниками. Среди найденных документов был обнаружен договор, заключенный в 2002 году в Багдаде между иракскими властями с одной стороны и двумя австрийскими политиками – с другой. Этими австрийскими политиками были ныне покойный лидер праворадикальной «Австрийской партии свободы» (АПС) Йорг Хайдер и его помощник Эвальд Штадлер. Договор предполагал, что Хайдер и Штадлер становятся лоббистами иракского режима в Австрии и Европе, за что Хайдер получает 1.250.000 долларов США, а Штадлер – 3.750.000. К моменту заключения договора Штадлер уже возглавлял «Австрийско-иракское общество» и наряду с Хайдером активно критиковал западные санкции против режима Хуссейна. 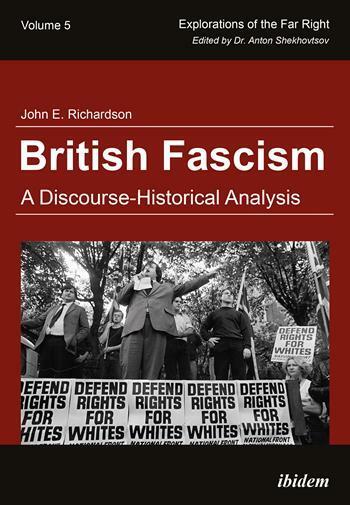 Andreas Umland reviews my forthcoming book "Russia and the Western Far Right"
I am proud to announce the publication of two important books in the "Explorations of the Far Right" book series that I edit for ibidem Press: British Fascism: A Discourse-Historical Analysis by John E. Richardson and The Hungarian Far Right: Social Demand, Political Supply, and International Context by Péter Krekó and Attila Juhász. 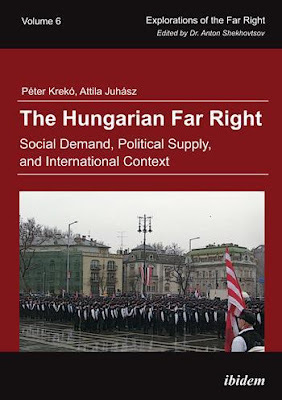 This timely book examines far-right politics in Hungary—but its relevance points much beyond Hungary. With its two main players, the radical right Jobbik and populist right Fidesz, it is at the same time an Eastern European, European, and global phenomenon. Jobbik and Fidesz, political parties with a populist, nativist, authoritarian approach, Eastern and pro-Russian orientation, and strong anti-Western stance, are on the one hand products of the problematic transformation period that is typical for post-communist countries. But they are products of a "populist zeitgeist" in the West as well, with declining trust in representative democratic and supranational institutions, politicians, experts, and the mainstream media. The rise of politicians such as Nigel Farage in the U.K., Marine Le Pen in France, Norbert Hofer in Austria, and, most notably, Donald Trump in the U.S. are clear indications of this trend. 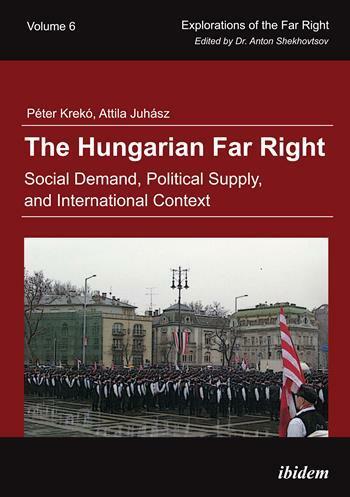 In this book, the story of Jobbik (and Fidesz), contemporary players of the Hungarian radical right scene, are not treated as separate case studies, but as representatives of broader international political trends. Far-right parties such as Jobbik (and increasingly Fidesz) are not pathologic and extraordinary, but exaggerated, seemingly pathological manifestations of normal, mainstream politics. The radical right is not the opposite and denial of the mainstream, but the sharp caricature of the changing national, and often international mainstream. 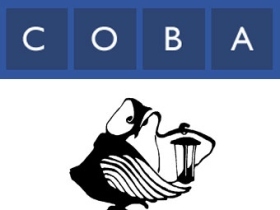 The Moscow-based Sova Centre, which conducts top-notch research on nationalism and racism in Russia, needs our help. The Centre has been forcibly declared a "foreign agent" in Russia and fined 300 thousand roubles (appr. € 4,717) for not willingly registering as a "foreign agent". They are now crowd-funding to pay the fine and continue their important work. I have been cooperating with the Sova Centre since 2007, and I know them as consummate professionals and honorable people. I wrote and translated articles for them, and co-authored the Russian-language book "Radical Russian Nationalism" published by Sova in 2009. The overwhelming majority of their published books are available for free online. Their books are an absolute must for any serious researcher of the Russian far right. If you are willing to help, you can find information on how you can do this here or here.